Anything that could be labeled eternal must already be now and always. In contrast, with language, a particular story can be constructed about a specific past memory. Any single isolated process is not eternal. In other words, anything that has ended cannot be eternal. Anything that is eternal cannot have ended. Language isolates and contrasts. Language divides reality in to various identifiable distinctions, at least conceptually. With language, a particular story can be constructed about a specific possibility for the future. Again, anything that is not already present cannot be eternal. Anything that is eternal cannot currently be absent. Can eternal life be achieved? If something is eternal, it is already present. Can eternal life be prevented? If something is eternal, it is always present… like inevitable. Language is a set of symbolic labels. Language forms, develops, and sometimes may pause. Eternal life is not the product of language, though the words “eternal life” are symbolic labels in language. Eternal life refers to something distinct from language, something prior to mortal identifications in words. Identifications or identities require language. Identifications are symbolic constructions in language and of language and by language. Identifications and the process of identifying are only possible through language. Prior to the development of language, there is no identifying, no labeling, no contrasting, no isolating. Past and future (as well as “present”) are labels in language. When linear language is functioning, the past can be contrasted from the future (not yet), but any particular past is a construction in language. Which part of the past is not constructed with language? Even to answer the question requires language. Eternity does not require language. Eternity precedes the functioning of language. During the functioning of language, eternity remains. Eternity is life. Life is eternity. Can life be achieved? Can life be prevented? Life is eternal. It is already present, always present, inevitably and unavoidably and eternally present. Can eternity be achieved? Can eternity be prevented? Eternity is alive now. It is already present, always present, inevitably and unavoidably and presently present. Eternal life is what is present. There is no special language for achieving the eternal life that is always present. There is no isolated linguistic identifying of personality that achieves eternal life. Eternal life forms language, using language to contrast, to label, to isolate, to identify. An identifying in language is something that Eternal Life can do. Eternal Life can create various identities. Those linguistic identities are like branches on a tree. Can the branches of a tree cancel the tree? Can the branches of a tree achieve the tree? The branches of the tree are already the tree. The linguistic identifyings formed by Eternal Life are like branches of a tree. The tree is the more basic reality than the branches. The branches are mere formations of tree. More precisely, branching is something that the tree does. Branching is one activity of the tree, like rooting or flowering. Likewise, identities are linguistic formations of Eternal Life. More precisely, linguistic identifying is something that Eternal Life does. 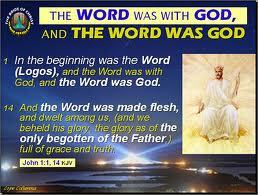 Linguistic identifying (and isolating, labeling, contrasting, etc) is the activity of Eternal Life. In the absence of the process of linguistic identifying, Eternal Life remains. In the presence of the process of linguistic identifying, Eternal Life remains. Life is eternal eternity. Language is the activity of life. Language is a formation done by life. Identities in language are formations done by life. Identifying in language is something that Eternal Life can do. Language is symbolic. Language is interpretation. There is no such thing as a literal interpretation. Interpretations involve the use of linguistic symbols. There are no literal symbols or literal interpretations or literal metaphors or even literal identities. Identities are just constructions in language. Literally speaking, there is no such thing as non-linguistic linguistic identifyings. All linguistic identifyings are symbolic, figurative, interpretative, linguistic, poetic, metaphorical, mythological, and mortal. Identifyings constructed in language cannot be eternal. Identifyings constructed in language must be mortal. Identifyings constructed in language must be words. Words are mortal, not eternal. Identities are mortals. Mortals are linguistic identifyings, poetic, symbolic, figurative, interpretative, mythological, metaphorical. Mortals are just constructions in words. Mortal words are not Eternal Life. The words “Eternal Life” are not Eternal Life. All words including the words “Eternal Life” are just linguistic labels, symbols, poetry. The label “Eternal Life” is just one possible linguistic construction. The label “Eternal Life” is just another mortal. 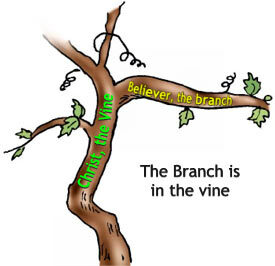 In some other language besides English, some other label can refer to what is referenced by “Eternal Life.” Even within English, other labels can refer to what is referenced by “Eternal Life,” such as God, the Universe, Nature, Creation, Consciousness, Christ, the Tree of Life, the branches of the Tree of Life, and also all of the linguistic labels that figuratively isolate, that symbolically divide, that metaphorically contrast. There are however a few linguistic labels that do not divide. For instance, who can name one thing that is not language? Who can speak without language? Who can be spoken of without language? What identity can be referenced without language? What linguistic identifying is not just a construction of symbolic poetry, of figurative interpretation, of metaphorical labels? Are you a mortal constructed from words or are you Eternal Life which constructs mortals from words? If there is no linguistic answering constructed with words, are you still here? Can Eternal Life die? Can Eternal Life be reborn? When exactly was Eternal Life born? When exactly are you not eternal? When exactly are you not alive as life itself? When exactly is a branch not the tree? When does a branch achieve being the tree? When exactly is a symbolic mortal identifying in words not merely symbolic? When exactly does a symbolic mortal identifying in words achieve Eternal Life? How exactly does a branch achieve being a tree? How exactly does a symbolic mortal identifying in words achieve Eternal Life? A symbolic mortal identifying in words does not do anything. Eternal Life does symbolic mortal identifying in words. A label does not do anything. A symbol does not do anything. A word does not do anything. A flowering does not do anything. A breathing does not do anything. A melting does not do anything. Melting and breathing and flowering are entirely valid symbolic mortal identifyings in words. They just do not do anything. God and Jesus Christ and my future unborn great grandchildren and Santa Claus are entirely valid symbolic mortal identifyings in words. They just do not do anything. They are just labels in language. “I am not just a symbolic mortal identifying in words” is also non-sense. It is valid as a possible construction of language, but it is just figurative, just symbolic, just metaphorical, just linguistic. Language is eternally symbolic, inevitably figurative, inherently metaphorical, intrinsically mortal. Eternal Life- as a construction in language- is also eternally symbolic, inevitably figurative, inherently metaphorical, intrinsically mortal. 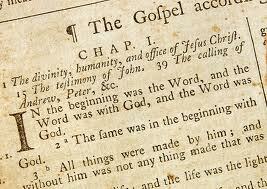 However, Eternal Life references that which constructs with language rather than some created creation of language. What created Eternal Life? Who created Eternal Life? When exactly was Eternal Life created? I create Eternal Life now. I did not do it in the past and I will not do it in the future because those are just labels in language (past and future). I am now, already, and always. I create Eternal Life. I am creating Eternal Life now. I did not ever start creating Eternal Life. I did not ever plan to eventually create Eternal Life. I am creating Eternal Life. Recognize that Eternal Life forms linguistic identities. 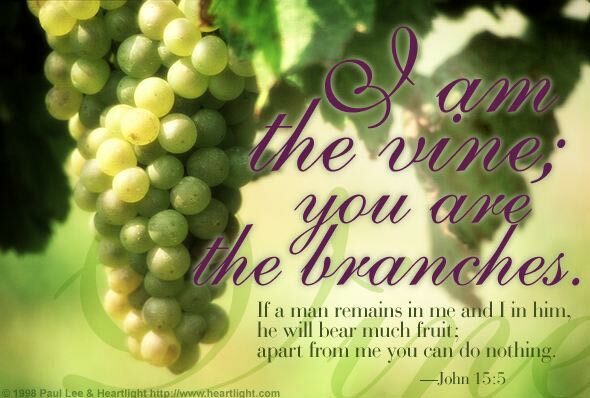 You are not a personal linguistic identifying grafting to a branch or receiving Eternal Life or achieving Eternal Life. Eternal Life has always included all of it’s linguistic identities and symbolic formations. Saying that a branch is not part of the tree does not change that the branching is inherently just a function that the tree does. Saying that an isolated mortal persona of symbolic, figurative, poetic, linguistic identifying is not Eternal Life does not change that Eternal Life forms and uses language (Logos). This entry was posted on February 17, 2012 at 4:26 am and is filed under Uncategorized. You can follow any responses to this entry through the RSS 2.0 feed. You can leave a response, or trackback from your own site. Don’t make things so complicated, JR… life is more simple when we stop trying to understand what we don’t have the capacity to understand. A good question to ponder is (and physicists will be arguing this until the end of time): Is time just a way of explaining the order of events that happened and planning the order of events to come? or is it a true 4th dimension capable of manipulation? But if you are a Christian then you understand that our God is omnipresent… now if you consider the ability of being omnipresent that is the ability to be anywhere at any given moment, then any and all references to time and the order of events have lost their meaning because the past is no longer necessarily the past and the future could, at your whim, become the past… with that ability there is no need for even the word eternity except to assist a person without that ability to understand that ability. All our lives we have always seen it to be true that something done cannot be undone… and we do not possess the understanding to even begin to imagine a world or prescence where that is not true. But we reference that world with the word eternity. The actuality is simple, Arthur. There is nothing eternal about the world, nor even a planet. Christian is also just a word. If you are holding on to that word like a dock, then perhaps you lack faith. Give up your fantasies. Forget the ideas that you have learned. You do not need them to be alive. You can hold on to them like a dock and you would still be the living presence. You do not need to fight with me or to cling to the dock. You could do those activities of course, too, but they are totally optional. Wow, JR! Just read a couple of your posts, and I’m stunned that you can really write stuff like that. There are two possibilities: that you actually believe what you’re writing, or that you just enjoy the free form use of words for their own sake. Either way, I am reminded of reading the Absurd Philosophers in my twenties. The only thing I really remember is a feeling of futility and desperation. Your meanderings remove any real use of language as having any meaning other than just playing word games. When you reduce human life to such circuitous language games, it is no longer life. Biblically, I think we can say that evil is what attempts to prevent us from believing that eternal life, or Eternal Life, IS… God self defining himself as the I AM. This belief, like the belief in the eating of an apple (ie food), can change something very real about our existence. Not everything is an illusion. Just try fasting for a couple of months. Franco, this is about freedom and grace. With or without language, existence is present now, right? We can label it life or God or illusion, but it is still the same presence. (We are still the same presence!) When is existence not present? Labeling it makes no difference, like labeling this sentence good or evil or chocolate does not alter the actual content of the sentence. The sentence is whatever it is and the labeling, if any, is just a labeling- an entirely new and distinct linguistic process. So, the presence that I am (and that you are as well) can be called eternal, like it does not come and go relative to an observer because it is the foundation of the observing. Relative to changing things and relative to something that is only in the past or only in the future, we can contrast that Presence with adjectives like Eternal or Divine. Upper case or lower case make no difference, for it is not itself just a label. It is that which labels. So, to miss the direct recognition or revealing of that presence and “believe in” the words Divine Presence as if they are more important than than same idea in Latin or Chinese is the height of arrogance and idolatry, yet an entirely innocent mistake and perhaps even required as a stage of development. If you fear Grace and Freedom, then this is all terrifying, but then it already was anyway, right? Fearing grace and freedom are optional, but entirely valid ways of relating to the Presence that I am, which is itself Freedom and Grace. You are not an illusion. However, the passing thoughts and perceptions that you may experience are only passing, contrasting with what endures, with what poetically might be called Eternal. Amazing post! If I understand correctly, The concepts that we have about the world, life, God, etc. are just temporary ideas that we create which serve as interpretations of what is Eternal, of what IS. Our perception of Life itself is just that, an interpretation, but there is something greater that we can not perceive (at least not now) which I would consider Eternity (or God, Truth, Nirvana, etc). Which is greater: what is perceived or what is perceiving? Life perceives itself and forms language to isolate or categorize or relate. Are you other than eternity? Are you other than life? When have you ever actually been other than eternal life? Of course, life may have labeled some facets of life as “other than eternal life,” but if a tree were to label one branch “fundamentally different from all of the other branches,” could that labeling alter the tree’s perception of that branch? Consider that you are at the trunk, looking out at the branches of your life, and you label some of them “my life” and some of them “not my life” and some of them “how life should not be” and then you may even declare “there is no such thing as roots and no such thing as a tree and no such thing as linguistic metaphors.” Which is greater: what is created or what is creating?